Germany-based AIXTRON is a leading deposition equipment provider for the semiconductor industries - used for a wide range of applications, from LED to graphene deposition. For the OLED market, Aixtron is offering Organic Vapor Phase Deposition (OVPD) equipment (which was exclusively licensed to AIXTRON by Universal Display). Juergen Kreis, AIXTRON's Director Business Development, was kind enough to update us on Aixtron's OLED business and answer a few questions we had on the company's technology. Juergen joined AIXTRON in 2010 as Director Business Development with special focus on the portfolio for organic material deposition solutions. Q: Hello Juergen. Can you give us a short introduction to AIXTRON's OLED related products and services? AIXTRON’s core expertise clearly is in the offering of proprietary process solutions for the deposition of organic thin-films, with OVPD (Organic Vapor Phase Deposition) and PVPD (Polymer Vapor Phase Deposition) being the core process technologies. As the fabrication of organic electronics requires many manufacturing steps, flawless integration of the respective processes into an automated material flow is essential. Reflecting the different needs for various applications and customers, AIXTRON offers a wide range of equipment building blocks for manufacturing needs at different sizes in the field of organic electronics. 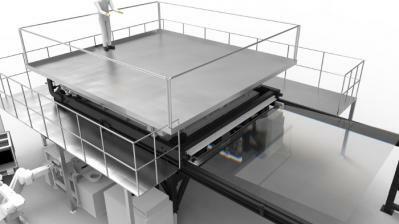 Highest flexibility is achieved by individually custom-tailored configurations. The product range consists of product modules (PMs), utility modules (UMs) and transfer modules (TMs) that can be clustered to enable applications on basis of OLED display, lighting, solar cells (OPV), transistors or functional polymer layers (e.g. dielectric, conductive, hydro- or oleophobic). Overall, AIXTRON offers the full range from single process modules for integration to third party clusters towards full production systems addressing the organic stack. Q: The major focus these days seem to be on flexible OLEDs. Do you see an increased interest in flexible OLED production? Are you addressing this market? AIXTRON’s core processes for organic electronics, namely OVPD and PVPD can be used for rigid as well as flexible substrates. It should be mentioned here, that the term flexibility can mean free form capability (curved surfaces), bendable devices and, in the most extreme case, foldable devices which as of today can only be found in proof-of-principle demonstrators. We do already have projects for these applications in place and we see - especially for portable communication devices - an increasing trend towards the application of flexible display substrates. Q: In January 2014 AIXTRON signed an agreement with Manz to co-develop Gen-8 OVPD deposition systems. As far as we know these systems are still "in qualification". Is that true? At first, I’d like to clarify the background for our partnership with Manz which pools the expertise of two leading high-tech manufacturers. While AIXTRON has developed the process technologies and takes responsibility for the scaling of the processes, Manz brings in the complementary knowledge in the manufacturing of large scale process chambers, inter-process handling and automation. As it represents a unique approach for the time being, the Gen-8 prototype system currently developed in this collaboration is considered a demonstration unit, which will show the free scalability of the core processes to virtually any size. Q: AIXTRON recently installed a demonstration Gen-1 R&D OVPD cluster in its lab. Do you see customer interest in these systems already? We see increasing interest from various customers with demonstration processes running since the cluster was put into operation earlier this year. Q: Are there any commercial OLEDs fabricated using your OVPD equipment, or other production equipment? Due to various reasons, we cannot comment in detail on this question but our OVPD and PVPD equipment is already in use in commercial OLED fabrication. Q: It seems that the major focus today is on flexible OLEDs - for wearable, phones and even TVs. What's your own take on this flexible OLEDs? Currently, flexible OLEDs are a clear trend as flexibility can mean free form but rigid, bendable, and, most importantly ruggedized through the avoidance of glass surfaces. As these features are highly desirable for portable consumer electronics such as wrist watches, phones or tablets, flexibility is a clear differentiator. With regard to TVs, flexibility mostly means curved surfaces so far. This year’s IFA has confirmed these recent trends in this area. However, we will also see a wide range of applications in the lighting sector which has already been visible at the Light+Building in Frankfurt in April. Q: Do you offer any products for the production of OLED Lighting panels? 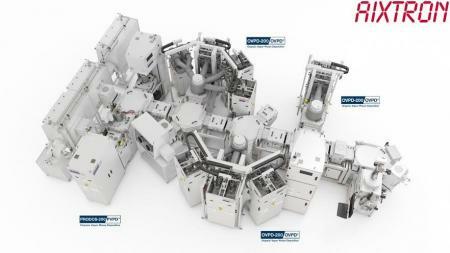 AIXTRON offers mass production equipment based on our OVPD and PVPD processes. Systems installed in the field currently cover deposition areas up to Gen-3.5 which is able to produce organic thin-films up to 650x780 mm. However, in combination with our patented Close Coupled Showerhead technology, the deposition processes can be scaled to virtually any degree and any substrate dimension. That’s what we are going to demonstrate with our Gen8 demonstrator. Q: What are your general views on the OLED market? Where do you see OLED displays in say 3 years? As we see our technology solutions to potentially provide lower manufacturing costs, AIXTRON has defined the area of organic electronics and in particular OLED applications as a future key market. There are various applications and markets making use of organic electronics, each addressing different applications, and each with different levels of maturity and different timelines respectively. While OLEDs have already found wide adaption in smaller display applications, especially in smart phones where the typical display sizes are in the range of 5’’, the penetration of OLED displays into medium size applications such as tablets has just begun. For OLED TVs, first products obviously have been launched but they are also still facing cost issues due to high production costs. 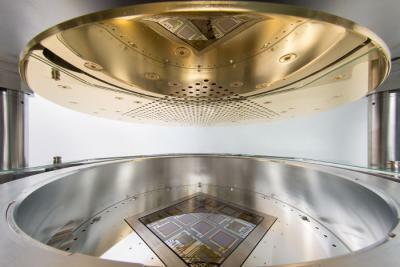 The same applies, incidentally, for OLED lighting which is considered to gain market relevance once overall manufacturing costs can be reduced significantly.